How humanity learned to find immortality…for its voices, in any case. We've been told for at least three decades, with increasing stridency, that "intellectual property" is entitled to government protection; that corporations are entitled to hoard ideas, and that promoting this concept is the only path to innovation and prosperity that can be enjoyed by all. However, the story of the invention of sound recording tells quite a different story. We look at the inventions that made sound recording possible. We have just come through perhaps the only century in human history when a technology of sound recording existed that could be understood by the common man. I watch my seven-year-old grandson, Zachary, operate his MP3 player with confidence, yet no comprehension whatsoever of its principles. When I was his age, I&apos;d already taken a phonograph apart and put it back together, and understood, at least at a rudimentary level, how it worked. —Not because I was so brilliant, but because the technology was so simple. 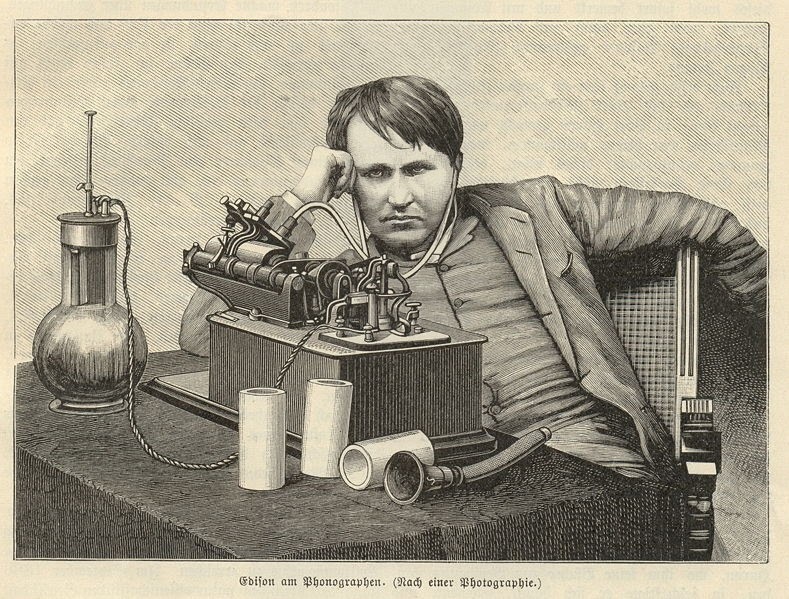 We examine the invention of the electric microphone and its effect on sound recording. Early phonograph records were certainly interesting, but as an artistic medium they left much to be desired—specifically, decent sound. Records played on the first Gramophones sounded as if someone were singing at the end of a long pipe, from inside a sealed box. And, as long as the recordings were made acoustically—that is, mechanically—there wasn&apos;t much to be done to improve the quality of the recordings. We look at the development of record players. The mid-thirties saw the introduction of improved record players. Although gramophones and Victrolas, which had been built to last, remained in use, new players were introduced that could play several discs sequentially, without user intervention. They were called "record changers" and suspended a stack of records—typically six or more—above the turntable on a tall spindle. When the user started playing a stack, the spindle would allow a single disk to drop to the turntable, where it would gently fall on a cushion of air created by the falling disk itself. A mechanism would then place the tone arm at the beginning of the record. When the record ended, the tone arm was guided by the record&apos;s groove into a center area that signaled the tone arm to rise and return itself to its resting place while the next disk dropped on its own cushion of air atop the disk below, and the process was repeated. The spindle was designed to sense when no records remained, at which point the record changer would turn itself off. In my previous essays on Sound Recording, I looked at how sound waves were discovered and how mechanisms for recording them were invented. Next, we looked at the development of the electric microphone; and in the previous essay I described the development of the record player. Today we&apos;re going to look at the development of the tape recorder (including its closest relatives, the 8-track player and the cassette recorder). How digital recording revolutionized an industry that was already doing just fine, thank you. Previously in this series, we examined various means of sound recording as developed during the 19th and 20th centuries. However, all the techniques we&apos;ve looked at, so far, have been analog recording techniques. Today we&apos;re going to look at digital recording …starting with, what&apos;s the difference?